Session guarantees is a data consistency model aimed at mobile distributed systems. They define consistency from a point of view of a single, mobile client. Consistency protocols of session guarantees are built from two components: one is responsible for the safety (the guarantees) and the other for liveness (data synchronization). 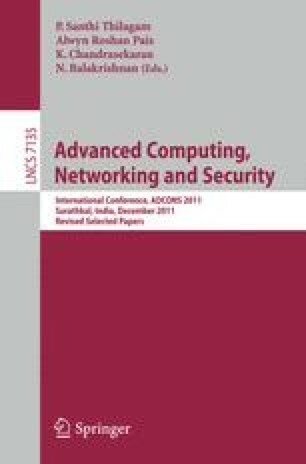 This paper presents basic concepts and simulation results of a new k–resilient data synchronization protocol designed for mobile ad–hoc networks. The research presented in this paper was partially supported by European Regional Development Fund program no. POIG.01.03.01-00-008/08 and Polish Ministry of Science and Higher Education grant no. DS91-506.